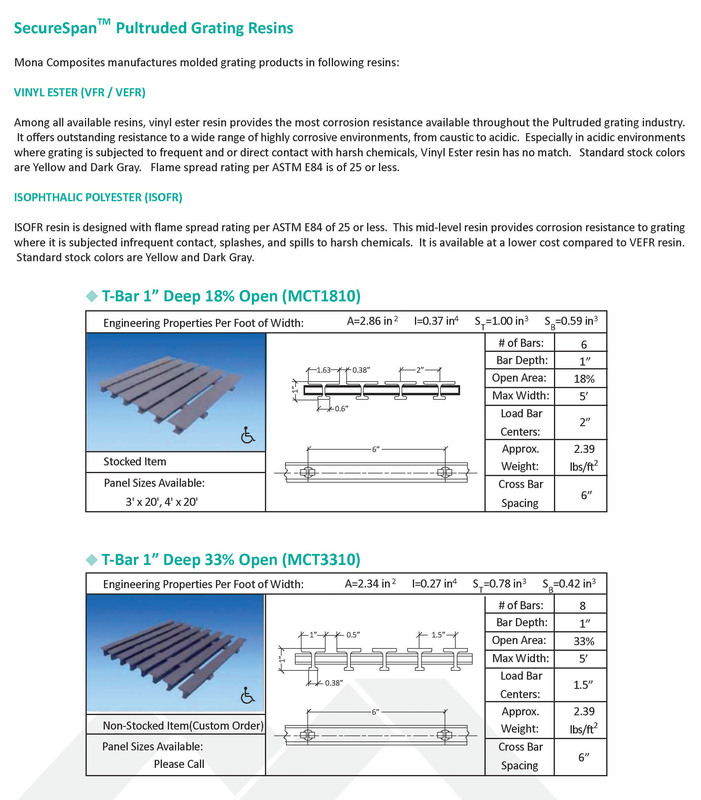 Pultruded grating and structural shapes are manufactured through an automated process where continuous fiberglass roving and mat are pulled through guides, a resin bath and pre-formers. They are then wrapped with a synthetic veil before being pulled through a heated die. 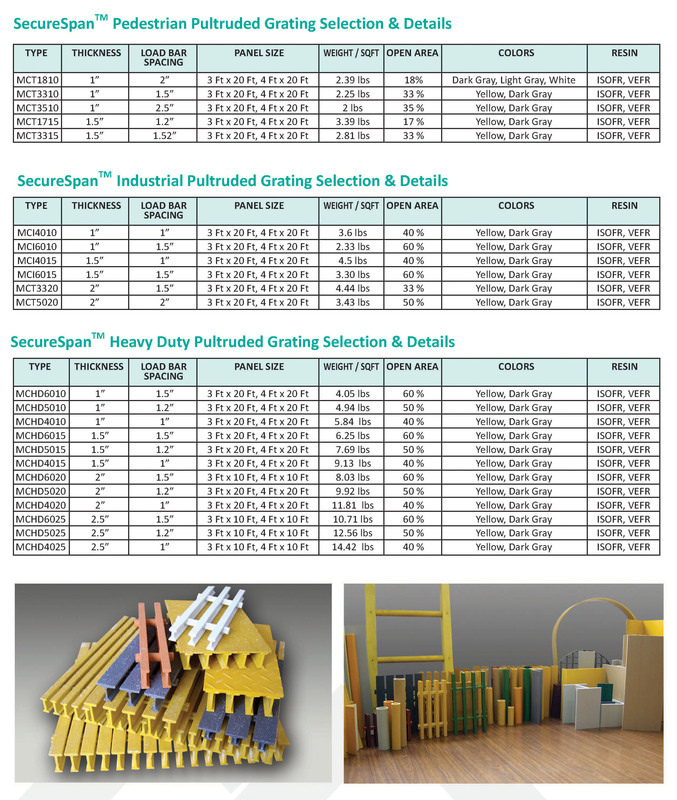 The individual components of pultruded grating (load bars and each piece of tie bar) are pultruded separately. Load bars are then cut to specified lengths as they exit the machine. They are drilled at 6” or 12” centers for tie bar insertion. They are spaced proportionately for the width of the panel at 3 ft., 4 ft., or 5 ft. Tie bar assemblies are then inserted into the load bar, creating multiple bonded intersections of load bars and tie bars. This provides the security of both a mechanically locked and bonded connection. Finally, both load and tie bars are sealed with corrosion resistant epoxy resin. Pultruded grating is manufactured with a high percentage of glass within the resin matrix (65% glass to 35% resin). The resulting product has high unidirectional strength, provides increased load capacity over longer spans, and is corrosion resistant. SecureSpanTM Pultruded Grating Products are a lightweight, UV resistant, and durable making them a preferred alternative to steel or aluminum gratings.